Samsung Galaxy S3 Duos has been officially introduced by Samsung Electronics for China Market. The Samsung Galaxy S3 is one of the most popular smartphones in the market beyond any shadow of a doubt. As a testimony to its success, Samsung has officially launched the dual-SIM version of its flagship device. 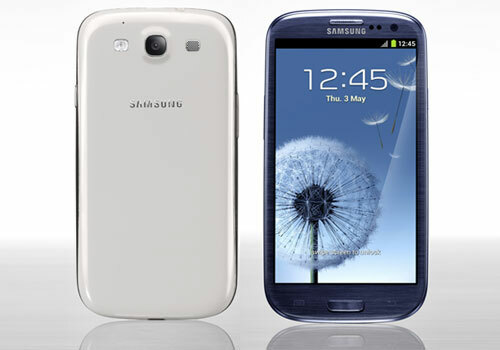 Samsung Galaxy S3 Duos comes out with similar specifications to those of its single SIM variant. It is a smartphone that supports dual SIM. The OS is adopted as Android 4.1x Jelly Bean Version. Chipset is equipped with a Samsung Exynos 4412. CPU operating frequency of 1.4GHz in the quad has become. HD display is about 4.8 inches (720×1280) HD Super AMOLED. The camera is equipped with a back-illuminated CMOS image sensor about 1.9 megapixel back-illuminated CMOS image sensor about 8 megapixels, the front to rear. The communication system supports GSM 1900/1800/900 MHz, CDMA 2000 1900 (BC1) / 800 (BC0) MHz. Capacity of system memory in 1GB, internal storage capacity is available is 16GB. The external memory is usable up to 64GB maximum 32GB/microSDXC maximum 2GB/microSDHC microSD. The battery pack is a lithium-ion battery, battery capacity has become a 2130mAh. The Samsung Galaxy S3 Duos is available through China Telecom in the usual Marble White and Pebble Blue colors. Unfortunately, there is no official info on the pricing of the smartphone, as well as its global release.